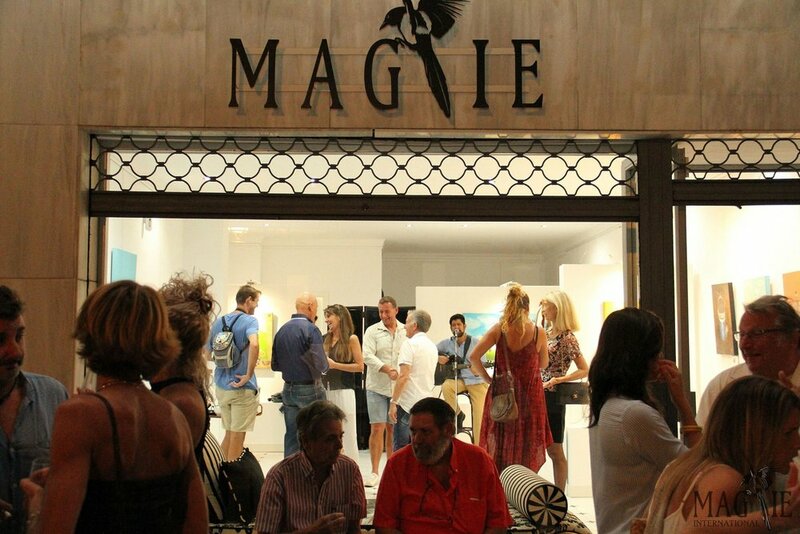 Welcome to MAGPIE INTERNATIONAL, a versatile and independent art gallery centrally located in Marbella centre. A few metres only from the buzzing yachting harbour yet only metres away from the famous Ricardo Soriano Avenue, the gallery is conveniently close to several underground parkings, to trendy restaurants, hotels and bustling commercial areas. As an ever increasingly cosmopolitan city, Marbella is definitely an ideal place where to encourage and support emerging, both national and international, artists to exhibit their work. Visitors from all over the world come to Marbella: celebrities, royals, business people, golfers, holiday makers... the Costa del Sol is a vibrant place with a worldwide reputation. MAGPIE INTERNATIONAL was born out of an altruistic desire to support the Arts. "Art is not for the elite, Art is for everyone". And as such, it is especially committed to support emerging artists by offering a practical alternative to the prohibitive costs of traditional galleries. Know how you can help too. Working closely with a selection of both national and international artists, the gallery suggests to its clients innovative ways to approach and acquire art. Showcasing a new art collection every month, MAGPIE INTERNATIONAL organises private viewings in the comfort of the client’s residence/office, proposes to “try-before-you-buy”, offers to rent Fine Art for those most important events and is available for exclusive rental for private/corporate celebrations/events. Intimate yet functional, the space is suitably equipped and tastefully decorated with a few selected antiques and vintage pieces, adding character and comfort. The gallery can be visited Monday to Friday from 10:00 to 14:00 and from 16:30 to 20:30pm. For additional information about private viewings and/or other events, please contact us.